What will shape the C-level top talents global workspace and work environment in 2019? Mediating between Millennials, digital nomads, top talents from different cultures? The question was answered by the C-level headhunters from the IMSA Search, the global executive search network. IMSA Search presents “The Report on Executive Trends 2019”. Predicting the trends for C-level managers and multinational companies is always a tricky task, correlated with the constant change of the world as we know it. At first glance – the economic engines for the year 2019 are still up and running. Despite good perspectives, there are some major turbulences the top management should be aware of. The feeling of an inevitable shift brings more and more questions about the future of C-level management and its workspace. How are headhunters and top managers going to navigate in these difficult times? How is the way the world is changing going to influence top talents and global companies in 2019? The Members of IMSA Search are willing to answer these questions. 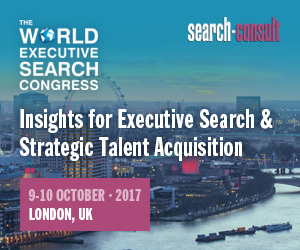 They are some of the leading international executive search network operating in Europe, Middle East, Africa, Asia & the Americas and combine a global perspective and approach with in-depth knowledge of their local markets. 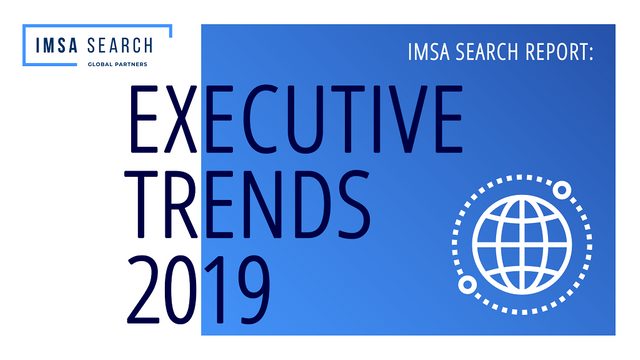 To prepare the IMSA Search Executive Trends 2019 Report, they surveyed the members of their network in 22 countries and 47 offices. The result is a complex list of challenges that top talents and global companies will be facing in the coming 12 months.